Get the plot you want: Plots do sell quicker than most people think….Buying early means you get to choose from a range of different house types and the plot and location you want. Choices: You can also decide on options available pre-build, including paint colour from our standard range, along with kitchen and work surface colours*. Upgrades: Buying off-plan means it’s possible to make upgrades to the standard specification. These can be requested pre-build including built in sliding wardrobes to all bedrooms, turfed rear garden, floor coverings and an extended choice of paint colours- we can work with you to tailor the perfect living space for your particular requirements*. Guarantee it’s new: You can be assured everything will be brand new and unused: you won’t inherit the underlying issues you may find in a second-hand home and you won’t need the ongoing maintenance that an older property often needs. Get a Head Start! If the property you would like is in a later phase of the development and has not yet been released, you could secure it with a fully-refundable Head-Start reservation fee. On release, the house that you have re reserved via our head start scheme will be held for you for 7 days at a fixed price. Smooth move: If you’re struggling to sell your old home, you may be able to take advantage of our Smooth Move scheme. 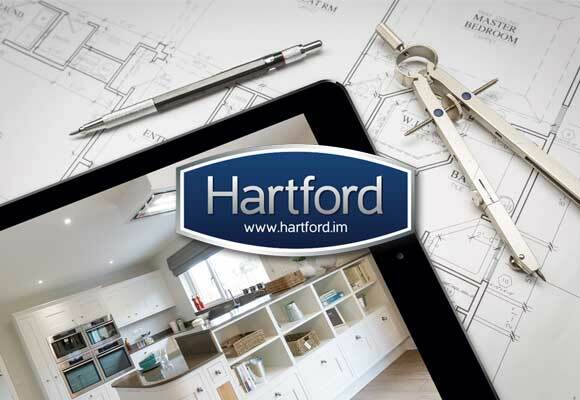 It means you can reserve your dream Hartford home and we’ll help you find the right buyer for your existing home. A sound investment: The many benefits also transfer to buy-to-let investors. The properties will be ready for new tenants, without the cosmetic or underlying issues which often occur on an older rent-to-buy property. New build properties are also more attractive to tenants and they are therefore likely to pay more than they would on a comparable older property. Don’t miss out on your dream home in Ramsey! Pop along to our Sales Office at Royal Park, Ramsey this Saturday & Sunday 1-4pm and find out more about buying off-plan with Hartford. See here for details and directions. *Customisation is limited to our available options. Upgrade package available at an additional cost. Please contact us for details.